Facebook (overall rank 2, rating 4.5) – Facebook ranked 2nd overall, behind management consulting firm Bain & Company. It was the top tech company for 2011, 2012 and 2013 before losing the position to Twitter in 2014, Google in 2015 and Airbnb in 2016. It’s at the top of the best tech companies to work for in 2017. Google (overall rank 4, rating 4.4) – Google’s overall rank was 4 and it’s the second best tech company to work for in 2017. Good pay, work-life balance, management transparency and perks are the major reasons the employees are satisfied. 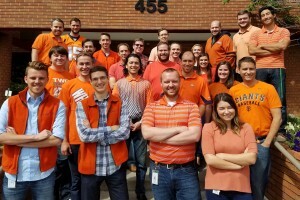 World Wide Technology (overall rank 5, rating 4.4) – The US based systems integration company has a great work culture and support system to keep the employees happy. Fast Enterprises (overall rank 6, rating 4) – This IT consulting company believes in team play, employee benefits and rewarding the employees. No wonder their people are satisfied. LinkedIn (overall rank 8, rating 4.4) – The career focused social networking service company invests in employees’ professional development, offers great foods and enough of recreational activities. 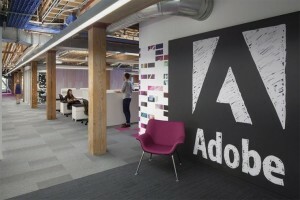 Adobe (overall rank 9, rating 4.3) – Employees can rarely think of any downside of working in the multinational computer software company. It has great working environment and productive culture in office. Paylocity (overall rank 14, rating 4.3) – This cloud-based payroll and human capital management software solution company is a growing company that invests in the growth of its employees. 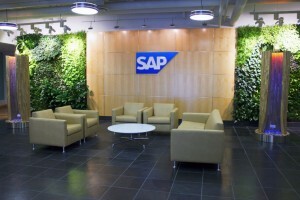 SAP (overall rank 15, rating 4.3) – The German multinational software corporation has talents, offers career growth and focuses on diversity and inclusion. MathWorks (overall rank 16, rating 4.3) – This American corporation specializes in mathematical computing software. 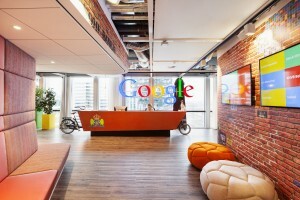 Their employees have good amenities, smart managers and focuses on team collaboration. 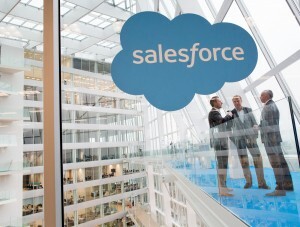 Salesforce (overall rank 17, rating 4.3) – This cloud computing company has fun work culture, wellness reimbursement, stock options and patent bonus. Intuit (overall rank 20, rating 4.3) – This business and financial software company has one of the best maternity and paternity leave systems in India, offer open door policy for all and very competent salaries. 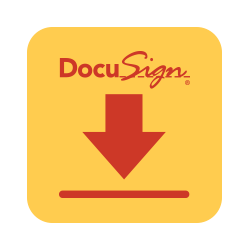 DocuSign (overall rank 23, rating 4.3) – DocuSign provides electronic signature technology and digital transaction management services. Despite being a growing company their employees are mostly happy with the workload. Benefits, perks and focus on employee training some the reasons, and DocuSign is on the list of the best tech companies to work for in 2017. Concur (overall rank 24, rating 4.3) – This travel management company has good work-life balance, free cab and food facility. 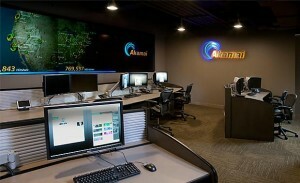 Akamai (overall rank 25, rating 4.3) – This American content delivery network company offers work flexibility, opportunity of innovation and great benefits. Zillow (overall rank 29, rating 4.3) – Competent management, potential of growth and employee driven culture are the plus side of this online real estate database company. 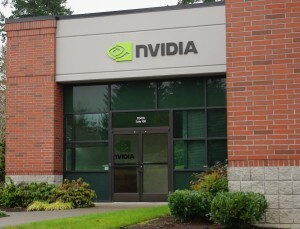 NVIDIA (overall rank 30, rating 4.2) – This tech company focuses on Gaming, Professional Visualization, Data Centers and Auto sectors. Employees enjoy the benefits of working with cutting edge technology, work from home options and transparent work culture. Airbnb (overall rank 35, rating 4.2) – Coming down from the number one position last year, Airbnb has issues with work life balance and homogenous leadership. But the brand value and employee perks are still working in favour. 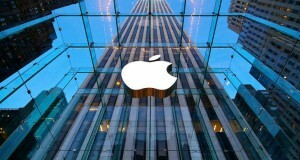 Apple (overall rank 36, rating 4.2) – This American MNC has issues with work life balance, HR policy and slow career growth. But working with some of the best talents in the world counts. Microsoft (overall rank 37, rating 4.2) – Same as Apple, Microsoft has issues with ensuring the right work-life balance and employee review system. It still is a great place to work because of the talent and great learning opportunity. 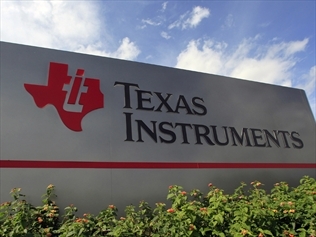 Texas Instruments (overall rank 42, rating 4.2) – TI designs and manufactures semiconductors for electronics designers and manufacturers. Lack of transparency in upper management and poor work life balance are some of the downsides employees face. But interesting projects and smart people are what keeping most of their employees happy. It rounds up the list of the best tech companies to work for in 2017.